Romance Writers of America (RWA) has just opened up its 2015 Golden Heart contest, the most prestigious writing contest for romance writers (including YA) in the country—some say worldwide, as entries are accepted internationally. It’s a little sad for me this year, because now that I’m published, I’m no longer eligible to enter, and I know what I’ll be missing. I was fortunate enough to have been selected as a finalist in the Young Adult division in 2013 and 2014, and it was an experience that changed my life. Can you imagine entering that contest—any contest—or does the thought cause your belly to bottom out? Putting your work out there to be judged by other authors, by agents and editors, is a scary prospect. A few years ago, I couldn’t even imagine doing such a thing. I started writing my first Golden Heart finalist novel, HIDDEN DEEP, in 2010… and told no one. Not even my husband, who works nights. My kids would go to bed at nine, hubby would be at work anchoring the news, and I’d bang away at the keyboard until midnight. He’d come home and ask what I’d been doing with my evening, and I’d give some non-committal answer—“Oh, not too much.” I was passionate to the point of obsession about what I was doing, but terrified for another human being, even one who’d sworn before God and man to love me forever no matter what, to see what I’d written. But after six months of nightly writing, I wanted that completed novel to go beyond me. I wanted to share it with others, and yes, to see it published someday and share it with the world. So I finally outed myself to my husband (who didn’t laugh at me, even once) and began researching the business of publishing. Putting that first page up for public scrutiny was exactly like starting out as a rookie TV news anchor/reporter when I was twenty years old. I had to run to the ladies room (or nearest trashcan, bush, etc.) and throw up before going on the air live. Every. Single. Time. For weeks. I threw up in front of the governor of Mississippi one minute before interviewing him for a noon live shot. Governor Mabus was very understanding, and I lived through the first page critique as well. I may have needed an adult beverage before reading through the feedback, but I survived. And then I wanted more. Because as much as I loved my manuscript, I knew that I wasn’t the most objective judge of its quality, and I’d need a heck of a lot more than a good first page to get an agent. I didn’t know any other writers at the time, so entering these contests was a way to get feedback on my first 30 to 50 pages and synopsis from knowledgeable judges as well as get my writing in front of agents and editors if I was lucky enough to be a finalist. That book did end up finaling in several contests in 2012, which led me to attend my first writing conference and then another, where I had a chance to pitch my work to agents and met my amazing critique partner and so many other writer friends. I’ve realized that writing for publication is a series of baby steps toward putting yourself out there. At each step you subject your writing to the judgment of others, which is not always pleasant—sometimes you have to run for the ladies room—but just like any other new thing we try, it gets easier and easier with practice. And with each new step, we grow. Those chapter contest successes gave me the courage to enter HIDDEN DEEP in the 2013 Golden Heart contest. Getting to know my amazing fellow finalists and attending the national conference was the most valuable thing that’s ever happened in my writing life. Now I’m a member of an incredibly supportive community and have many people to turn to for feedback. They helped me improve my writing to the point that I signed with an agent this year, and my 2014 GH finalist young adult book is now out on submission. One of the best parts—my critique partner McCall Hoyle and I finaled together this year, and she won the 2014 Golden Heart! Now that I’m published (under my pen name) in contemporary romance, there’s a whole new level of being “out there.” Nothing feels more vulnerable than having your hard work judged by readers—they may love it or hate it—and you have absolutely control over their opinions and how and where they share them. If I hadn’t taken the baby steps all along the way—if I’d just put the first draft of that first beloved book out there—it might have done me in. One bad review would have probably made me quit writing altogether. But through practice and gradually increasing levels of exposure, I’ve come to trust my own writing and my ability to handle others’ evaluations of it. And I haven’t made a dash for the ladies room in years. And as far as romance goes—please—she’s not even sure true love is a “thing”. As she does for everything else in her life, Trekkie-girl Cinda’s got a logical plan: select a sensible mate, come to a mutually satisfactory agreement, and decide to stick it out for better or worse. Amy is a two-time Golden Heart finalist (2013 and 2014) who writes Young Adult fiction as Amy DeLuca and Contemporary and Fantasy romance as Amy Patrick. Her books have won and finaled in many RWA chapter contests, and she is the author of the 20 SOMETHING series. She lives in Rhode Island with her husband and two sons and actually craves the heat and humidity of Mississippi, where she grew up. 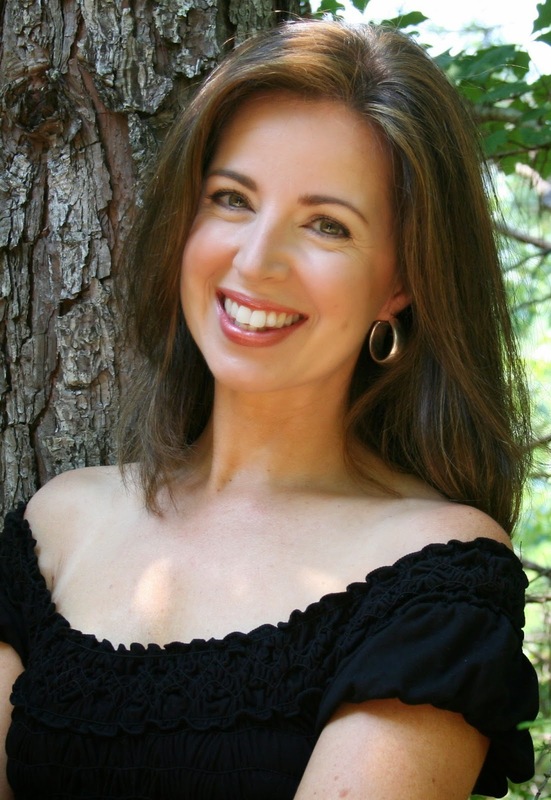 She's been a professional singer and news anchor and currently narrates audio books as well as working as a station host for a Boston TV station. Thank you for having me today Martina! I SO wish I'd discovered the First Five Pages workshop earlier. What an awesome opportunity for writers- I would have been an instant addict! Hello my Lucky 13 sister Amy! I totally agree--being at the RWA national conference as a Golden Heart finalist is magical. I encourage any unpublished romance writer with a completed manuscript to go for it! And I couldn't agree with you more. The Golden Heart has been such a boon. With one phone call, RWA gave me 31 new friends - a virtual coffee klatch that spans the globe - a cheering section - a source of invaluable advice - tireless supporters. 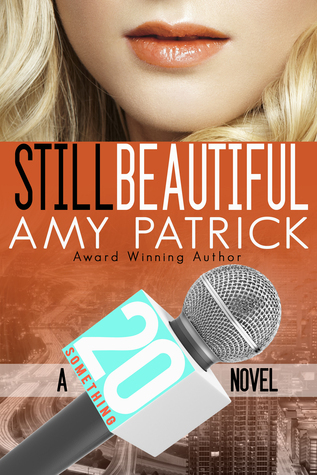 Love the cover of the new 20 Something and can't wait to read it! Hi Gail! Hi Julie! It is amazing, isn't it? I count fellow GH finalists among my best friends now, and I wouldn't want to go through the whole publishing process without you all. Wonderful post. You're right. baby steps...I remember the first time I read out loud to a critque group. I was literally sweating and shaking at the same time! And I couldn't agree with you more about finding a group of writers and friends who support you. And don't forget...now you can sign up for published contests! Great AE- thanks for reminding me. Now I have to put myself out there yet again! No really, thanks for stopping by and most of all for being part of that incredible group I was talking about. It's an amazing experience to cheer from the sidelines as each one of us becomes published. I couldn't agree more about putting your work out there--contests toughen you up. They really make you understand that reading is a subjective thing, so not everyone will love your work...and that's okay. If I had general consensus about something, I appreciated the guidance that strengthened my work. And for all the times I didn't have consensus, it taught me to trust my own instincts. That's so true about the contests, Suzanne. Not every bit of feedback you get should be taken to heart. But as you said, the more you put yourself out there, the more you learn to distinguish between the good advice and the flush-worthy. Thank you for coming by today! Hi Miranda! Yes, there's a little bit of us in all of our books, right? And in my case, one of my more embarrassing moments in TV news. Thank you so much for making time to stop in! So glad to have read your story!! It's stories like these that reinforce hope in all of us. Traci- I'm so happy to read this! I've been inspired by so many stories from other writers who encountered all these things before me. I'm humbled by the idea of being able to help someone else and reinforce hope. Good luck in your writing! And might I add as one of your fangirls and Lucky 13 sisters how THRILLED I AM YOU TOOK THE PLUNGE & ENTERED!!! :) You seriously continue to astound & amaze with your prolific writing and moxie, Amy! Darcy my sweet savvy sister! Thank you for stopping in! You've been a great example to me and a true friend. Your own story is a remarkable one that will inspire so many writers once they hear about it. ah! my post was eaten. I'm glad you finally 'fessed up to your husband about your writing and took those steps to share with a larger audience. It's so scary early on to share writing. It is, isn't it Stephanie? And my husband's not even scary. LOL. It just seemed like once I owned up to it, I was going to have to actually *show* it to people, and that's like opening up your chest and handing out knives in case someone might want to use one. Gradually you perceive those knives as having less and less sharp edges and then eventually they seem like plastic picnic utensils because your skin is so tough. Thank you for visiting and commenting!